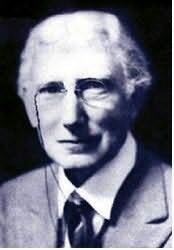 Elliott O'Donnell was an Irish author known primarily for his books about ghosts. He claimed to have seen a ghost, described as an elemental figured covered with spots, when he was five years old. He also claimed to have been strangled by a mysterious phantom in Dublin. He claimed descent from Irish chieftains of ancient times, including Niall of the Nine Hostages (the King Arthur of Irish folklore) and Red Hugh, who fought the English in the sixteenth century. O'Donnell was educated at Clifton College, England, and Queen's Service Academy, Dublin, Ireland. In later life he became a ghost hunter, but first he traveled in America, working on a range in Oregon and becoming a policeman during the Chicago Railway Strike of 1894. Returning to England, he worked as a schoolmaster and trained for the theater. He served in the British army in World War I, and later acted on stage and in movies. As he became known as an authority on the supernatural, he was called upon as a ghost hunter. He also lectured and broadcast (radio and television) on the paranormal in Britain and the United States. In addition to his more than 50 books, he wrote scores of articles and stories for national newspapers and magazines. He claimed "I have investigated, sometimes alone, and sometimes with other people and the press, many cases of reputed hauntings. I believe in ghosts but am not a spiritualist."